- Laminitic &/or colic prone? Suffering with EMS (equine metabolic syndrome) or IR (insulin resistance)? - Know if the grass sugars are safer at 3 a.m, 10 a.m., 3 p.m., if its safer above or below 3 inches height, if 40F/4.5C temp' matters. - Horse, pony, donkey, alpaca rugged in summer? - If so, are you aware that if they do not have a minimum of one hour per week totally naked, [April to mid Sept', UK], the risk of Vitamin D deficiency, bone, immune, itching & multiple health issues will be hugely increased? - Remember Pit Ponies always had time above ground in summer ...for this exact reason. - Time short? Keen to prevent (not wait 'til you need a 'cure')? 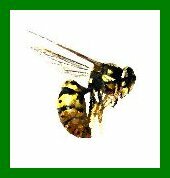 - Sick of Mites, Horse Flies, Mossies, Midges, Flies, Ticks? - Ruggle-it Fast is what it says. You just add water to pre-loaded containers of Ruggle-it formula, shake & sponge on. That's it. - The amazingly versatile 14-strain Protexin Bio-Kult (that R&SL identified as a 'super achiever' 'pure live bacteria over a decade ago) delivers impressive results for migraine sufferers. - Click Here for special prices, inc' the Get 1 Free special. ☺ TIP - winter weather. Have Clogged Triggers? Cold & Solidified Ruggle-it oils or DIL mix? 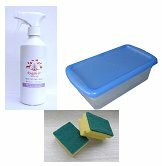 ☺ Beat the frustration - use Tupperware, a mug of hot water, 'kitchen scourer sponge' & other clever ideas! 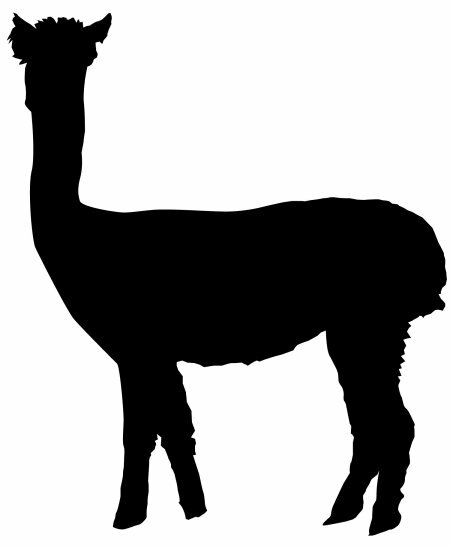 - Click Here (relevant for any winter, any year) for quick & clever tips for donkeys, alpacas, llamas, horses, kennelled dogs, goats, chickens, hen houses, farm animals. - The invisible Millennium Mites are active all year but especially in the cold. And they appear unbothered by chemicals applications...they just return days later. - Severe vomiting &/or extreme upset tummies ++ in dogs. - Preventing Harvest Mites - Here or 15/6/18 item below. - SCI information - Here (covers SCI + Alabama Rot) or Here (Animal Health Trust) or R&SL's 2016 guidance Here inc' how to get 'pure probiotics' in with no food. ☺ Watch out for Winter horse rugs creating wither, back & knock-on muscle-stress problems. Click Here to read a useful article - relevant for any year. ☺ [i.] 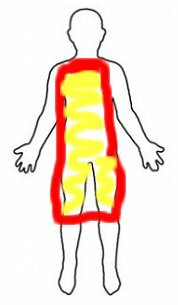 Summer 2018 - did you expose your back &/or belly at least once weekly April-Sept'? > If not, deficiency can be a risk (exposing arms is rarely enough). 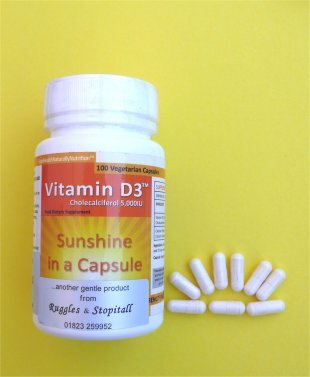 "Out with horses 5 days a week, 50 weeks a year - surely I would not be Vit D3 deficient! But, the pain in my knees then forced me to give up the horses & keeps me awake at night. the result confirmed I was all but "severely deficient" at 18.1 nmol/L. So I now take your Vit D3 capsules & so wish I'd done your test way back!" 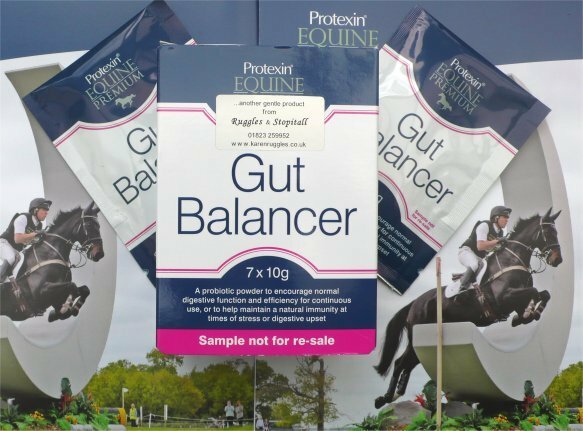 - Not tried our Protexin Equine Gut Balancer 'pure' probiotics (NO cereals, unnecessary fillers, air-stable, long BBEs)? - Horse/Pony/Donkey with one/multiple struggles, e.g. 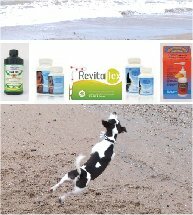 itching, mud/fungal issues, stress, digestion/poo/weight/gut issues, recurring issues, been on antibiotics, problems? - How to Claim. Order off our webshop, & at the online Basket/Cart page put in the COMMENTS box "Try Gut Balancer" & we'll include our sample box for FREE [Or put the same on an order form sent via the post]. *Whilst stocks last. - Stop the attacks + insanely itchy bites & cool the skin - see 15/6/18 item if you missed our 'early warning' back then. - What we knew instinctively...that Staphylococcus & Dermatophilus bacterial infections [serious invasions of the skin] are both associated with overwashing skin...which either destroys the protective flora or causes excess flora. [A.] Those who know R&S Ltd well, know that we're into Mother Nature & Her amazing creations, ways, ideas. 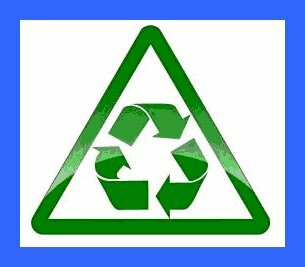 - But did you know that ALL plastics used for Ruggle-it containers/trigger units are FULLY recyclable worldwide? We have the Recycle Codes if you need. [B.] 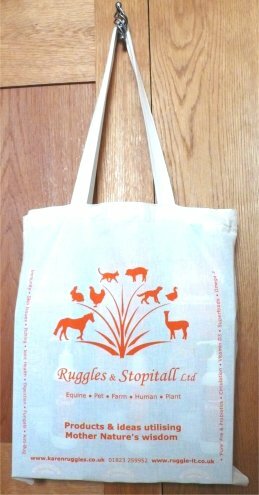 And the Natural Cotton Long-Handle bags that come with all Starter Pack 1st orders (Ruggle-it) (or can be purchased £1.75) are fully compostable - lucky worms @ yours! - Time short? 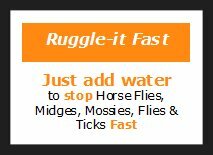 Sick of Mites, Horse Flies, Mossies, Midges, Flies, Ticks? - Ruggle-it Fast is what it says. You just add water to pre-loaded containers with Ruggle-it formula, shake & sponge on. That's it. - How much should dogs drink daily? - 45% of pet owners didn't know it was this much! 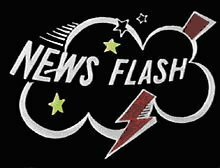 - Click Here for today's updated story with all the info' including for 'fussy/reticent' drinkers a demon FREE tip via "Chooky Water"
- (Partial story originally from 07.15 on our R&SL NEWS Archive pages) Need a hard copy of this whole story - ask us. ☺ Deter before Harvest Mites get us all! - Help prevent H.Mites latching on & you/your animals becoming victims of their insanely itchy bite. 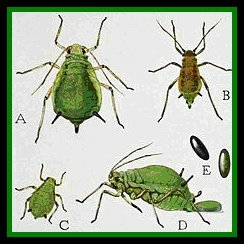 - Harvest Mites can attack all animals and humans from approx' June to November/December each year. - Click Here for prevention, quick tips (irrespective of the year, it's still relevant each season) or ask us a for print-out. 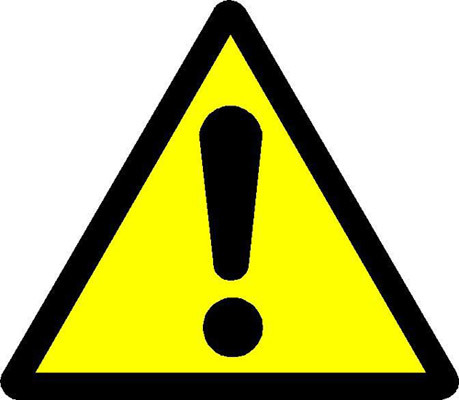 - Did you know it's the Vagus Nerve (in the brain) triggering the 'warning'? - Click Here for the fascinating facts + tips to sort it quickly & cheaply. Need a hard copy of this? Just ask us. ☺ Caution - animal sunburn risk. - After 5 days' of new skin growth, then you can stop the sunblock. What a long & wearing winter! Free-Load Vit' D - April to September & feel fabulous! - The Key. Must expose your back, belly and/or thighs. - Why? Exposing the arms and/or head only is not enough surface exposure for the sun's UV to convert into enough Vitamin D3. >> This person's Vit D test results might shock you as she was outside 5 days/week. Scroll down to 01/11/17 item. - Clever bit. Expose back, belly and/or thighs for just 15 minutes, ideally twice a week between the above months. This will load large amounts, quickly, safely & with no risk of sunburn. Thereafter apply sunscreen as normal. - No time to expose but do NOT want to be at risk of deficiency? 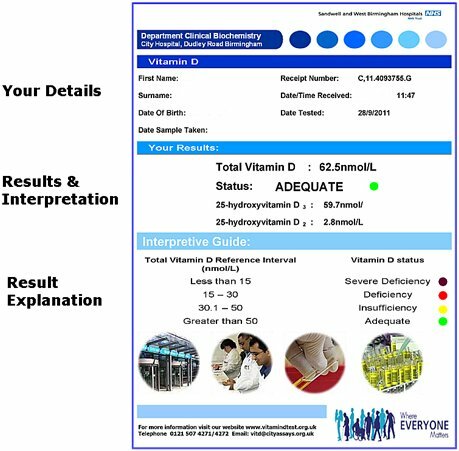 See R&S Ltd's 'other webshop' for options & ideas - click HERE or ask us for printout] on how to test yourself @ home (NHS postal test] &/or to supplement. Want an itch-free summer for horses, donkeys, alpacas, goats, sheep ++? - Stop itchy MANES and TAILS/BUMS before the itch-message is embedded in your animal's immune system response. - Shock. 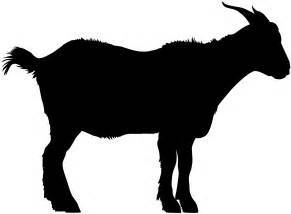 In research R&SL conducted years ago, in c90% of itchy tail cases it was NOTHING to do with the tail! - Options. Starting early with the Ruggle-it PREVENTION method can deliver your miracle! And, ensuring you follow the "Must Do Zones" (that might not make much sense! ), but which R&SL exposed many years ago as the "Secrets to Stop Itching"
- Also see the 2 x 700g bundle. - Big savers too on 3.5kg, 7kg. - Currently causing nation-wide itching. - See 2 Oct' 2017 item below for details, how to defeat etc. #2 - Protexin Equine - prices went up with NO warning to us. Where has old-fashioned courtesy of giving a little notice gone? R&SL can only apologise to you, our much valued clients, for the lack of notice. We are as shocked as you at no warning. #3 - Ruggle-it will be going up around 1/11/17 - first increase since April 2015 - so hopefully that's not unfair. - 5 x boxes for the price of 4. - 250ml in stock due to strong demand for 'top quality & pure'. - Totally different from so many which are diluted with cheap OM6 oils so the OM6 then defeats the whole objective! - Seriously rich in Omega 3. - Just £7.50. Order Here (scroll to bottom of that new page) or ask us. ... in the UK from last week. - See our 1 June '17 item below. - Do everything you can not to get bites on your animals or yourselves as the bites are hellishly itchy. - It's a fact that virtually ALL bodies (human or animal) need MUCH more Omega 3 to counteract modern diets packed with far too much Omega 6. - Omega 3 aids calmer skin, joints, guts & happier bodies at every level. But don't be fooled by many 'so-called' OM3 products which actually have higher OM6 compared to OM3 (which defeats the point & wastes your money). ☺ It is the Ratio that is critical. Do you know yours (or your animal's)? - See Here for more info', product options or ask us. 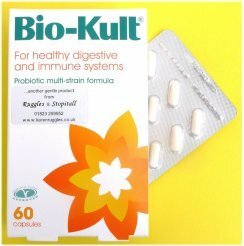 - Save over £18.00 - Summer madness on probiotics! - Click Here (or see left hand margin) for the latest. - "Summer bugs go to hell with Ruggle-it"
- Major NHS study findings for colds or similar, everyday illness. 11,000 trial participants. - Professor Adrian Martineau, Queen Mary University of London "...could half the risk of respiratory issues." 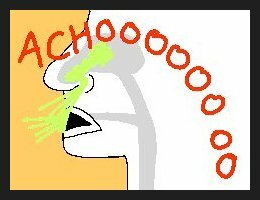 "This major collaborative research has yielded definitive evidence that Vit' D really does protect against respiratory infections [issues]". - Click here for The Telegraph's article. Or ask us for print-out. 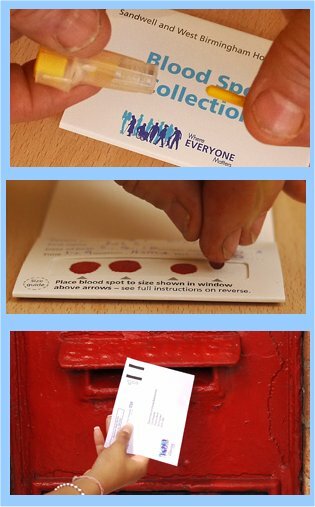 - Click here for more good news + NHS At-Home-Finger-Prick test kit, etc. - see item Ai and Aii. - Heart, joint, immune, skin - low Omega 3 putting us at unacceptable risk [human + pets]. Modern diets contain too much Omega 6 which bullies the helpful benefits of any OM3 in our/our animals' diets into submission. - In just 8 weeks - impressive results taking the randomly selected participants from dangerously low OM3 to good. - Click here for BBC2 program precis & 'simple' tips. - Click here for R&S Ltd's Omega 3 Information pages. - Since 2009 R&S Ltd have warned about rice in dog/pet foods. When fed daily (i.e. in complete dried food) there are massive arsenic risks. - Joints & muscles troubling you? 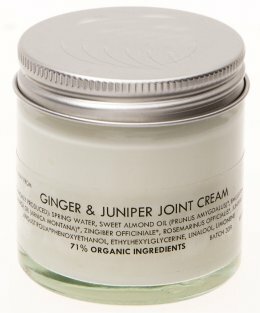 - Never tried our rather wonderful R&S Ginger, Juniper & Arnica Joint & Muscle cream before? - If you've never bought or tried it before, see our Skin or Joint/Omega 3 webshops (or ask us) for details of how to claim your free tester. - See 2/11/16 item below for details, how to defeat etc. - Multi-tasking tablets, creams, powders - internal & external - supporting the 'source' of the trouble, not just the site of the pain/problem. ☺ What is the Best Oil to Feed - horse (+ human + dog)? - Brilliant short explanation + graph of [a.] 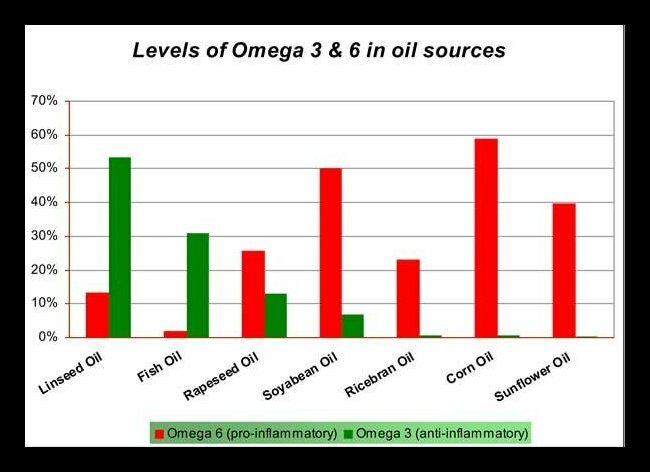 what oils contain the 'good Omega 3' & the 'unhelpful OM6', [b.] their ratios. - Many thanks Pegasus & Simple System Feeds for permission to share this. Click Here or ask us for print-out. ☺ **NEW** Large Size Long-handled R&SLtd bag. - New design large shoulder bag - 100% natural cotton, very strong, carries masses. Actual bag size 12"x15"
- Fully compostable - becomes food for worms when you no longer need it. - Carries lots of items &/or weight. Strapline "Products & ideas utilising Mother Nature's wisdom"
- Help STOP Mud/wet-related issues ruining this winter. 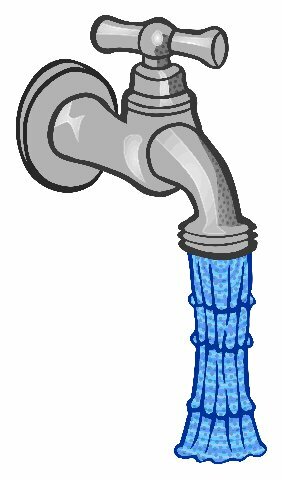 > See Here for tips to help prevent problems, bolstering immunes to naturally defend better, helping resist water ingress. > See Here regarding boggy gateways & things ("3 out of 4 'ain't bad") > See "Clever & Smart" story below (April 16) for rentable solutions! - Severe vomiting and/or extreme upset tummies in dogs. Click HERE for details, anti-dehydration tricks, links to Jane Lilley Dog World Magazine expose. - Deter the beggers! See Here for how to effectively deter Ticks on any size animal + human with NO chemicals. 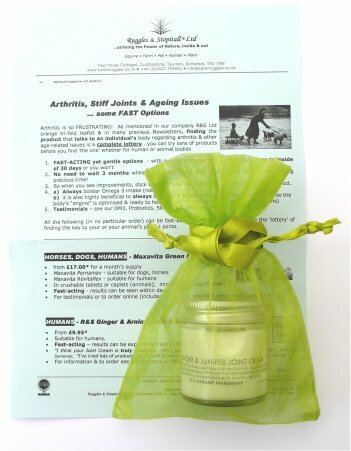 - For dogs & cats with joint and/or maturing body challenges. - Available at ASDA etc. or call them for your local stockists. - Fabulous ingredients (no cereals, brewer's yeast, rice, soya); High meat/fish content. 150g + 400g trays. 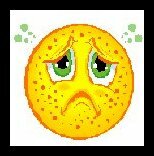 ☺ Joints worsen - what weather drives it? - UK scientists know it's not merely the cold! - Can you help? Join the Manchester University trial. ☺ "Vit D Supplements advised for all"
- Vit D - vital for immune, bones, muscles, teeth - basically every bodily function! - National newspapers & on BBC News - everyone advised to supplement in UK winter. - But, if you have minimal time in summer sun and/or you're covered up, advice is to supplement all year. - All advised to have short periods in summer sun with body exposed without sunscreen. - Click Here for today's BBC Newsflash. Click Here for R&S Ltd's no-nonsense guide [1.] "at home NHS" Test Kits or [2.] capsules if you need to supplement. ☺ Garlic - the silent killer? - ? 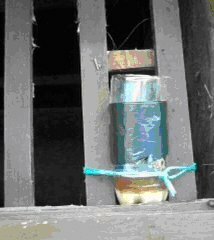 ?Feeding Garlic to dogs, cats, horses? ? 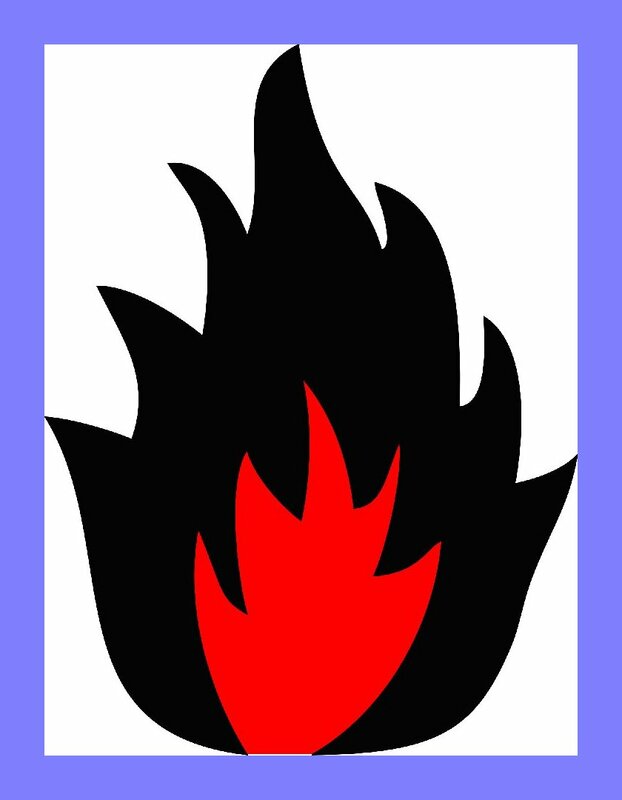 ?Do you know the signals that indicate garlic toxicity/overload? ? ?Is the animal increasingly itchy & anxious? ? ?Mystery lumps? 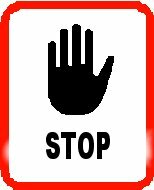 - The signs can be subtle & if you miss them, it could be fatal... Read why great caution is required. ☺ Reward Points - expiring? - Don't forget, Reward Points expire after 2 years. What's your Rewards total? See your last invoice for the total at that date. If you've referred someone to us since then, your latest points will be in a Thank You e-mail/text. Unsure? Contact us. ☺ *Back BIG time - Harvest Mites & Red Dots season. - Help prevent H.Mites latching on & you/your animals becoming victims of their insanely itchy bite. They can attack all animals and humans from approx' June to November each year. ?? Is this why so many pets fed rice every day (complete food) have less itching, health struggles when they STOP rice??? - Whilst Brexit will take time to sort itself out, an immediate problem is the £ Pound Sterling's volatility. - Currencies that will affect R&S Ltd are $US Dollar, Euro, Australian AUD, New Zealand NZD. - Good News. Stock up at the current pre-Brexit prices! ☺ Continental Attackers. Been 'got'? 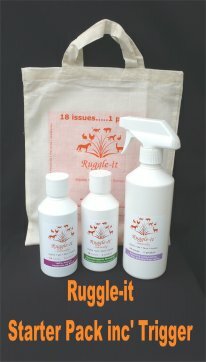 - Many thanks to Mrs Wood (Suffolk) for writing in that she used Ruggle-it (diluted oil) to get rid of their wasp's nest. ☺ Maple the Donkey - Mystery Exposed! - Editorial. Click Here - featured in The Donkey magazine - the cause, the signs, the way forward, the good news! - Own Donkeys? Not a member of the Donkey Breed Society? See Here for why it's so brilliant! - And it's FREE (April to October UK). - For feeling a 'zillion dollars' inside just 15 mins' per week. - Some interesting findings that the chemicals and/or drugs that chickens consume can prove troublesome to pets eating chicken. Plus the 'cereals' the chickens eat can also cause the pets additional problems. - Click Here (or ask us for a hardcopy). ?? Itching, hair loss, skin irritation - what's the cause if it's not fleas, not flying bugs & you can't see anything? c) Ask us for the sheet. 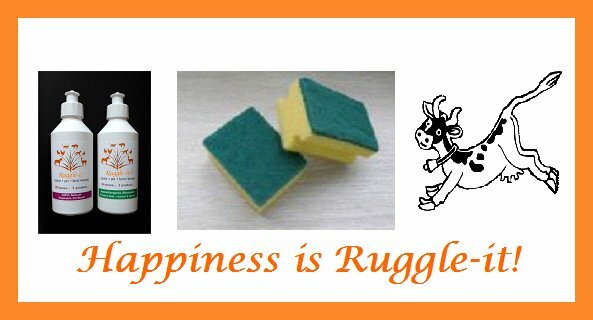 ☺ Ruggle-it - quick to apply, fast-acting, cheap & no harsh chemicals! And it doubles up to kill fleas/lice or deter flying bugs at the same time...for no extra cost! - Pain Packs - harnessing both external and internal pain messages and their signals within the human body. Or just ask us if you don't do the internet! - Sugar - how much in honey, versus low-fat yoghurt or basic bran flakes or fresh carrot & coriander soup. - From Monday 13/11/17 to end of Thursday 30/11/17. - No fridge, no power, no water needed! #2 - Shipping + Packaging Materials. From 1/10/18 - sorry but we've carried as many supplier price rises for as long as poss' but with another 6% rise put onto us, we've had to tweak the P&P rates - Here. Important Note: Any blacked out words with [bracketed] text has been amended to meet VMD/Vet Med criteria. All text is Veterinary Medicines Directorarte (VMD) compliant. Click here for what that means to you.